Home • News/Blog • Gospel According to Harry now on DVD! 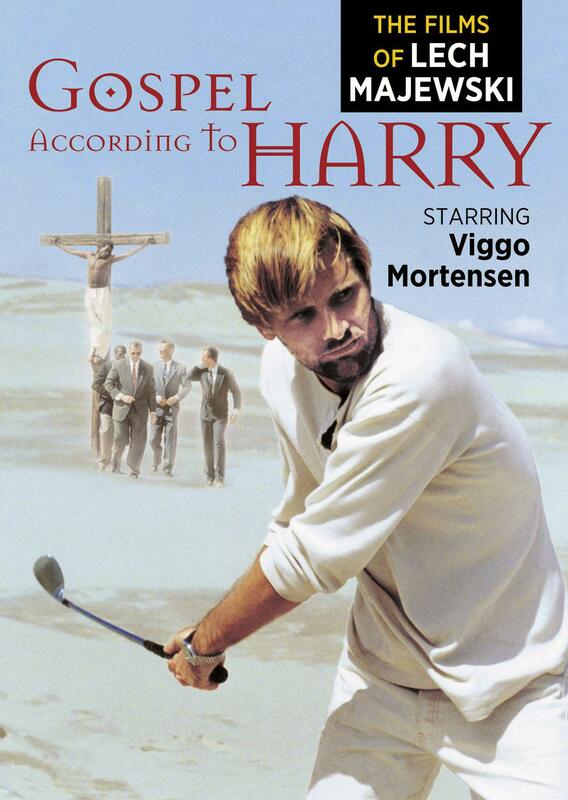 The Gospel According to Harry is one of the most unusual films Viggo Mortensen has made — and that’s saying something! Called “A highly visual, beautifully shot striking film … where the director’s maverick vision creates a metaphor for our times against a barren landscape,” by Piers Handling of the Toronto International Film Festival, the film is dreamlike and surreal. Polish director Lech Majewski shot the film in English in the California desert, but it was released in Europe in 1993 as Ewangelia wedlug Harry’ego, with Polish subtitles. Some determined folks taped it off of European broadcast television, making low-quality copies available in the U.S., but the film was not released on video tape or DVD. As of August 18, 2008, this has changed, with a Region 1 DVD release. Read more about The Gospel According to Harry, or just rush off and order it from Amazon.